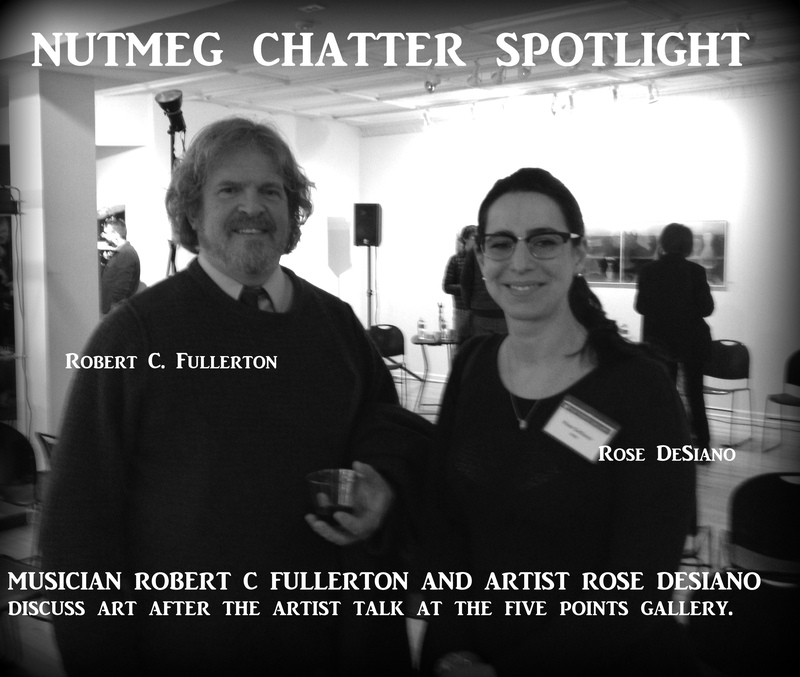 Torrington’s Five Points Gallery hosted an artist talk on Friday evening (2/27/2015) regarding “OBJECTS AND IDEAS”, the new exhibit curated by Robert Calafiore. One of the many artists featured in this exhibit is photographer Rose DeSiano who uses alternative photographic processes to capture her work onto transparent fabrics, plastics, and glass. 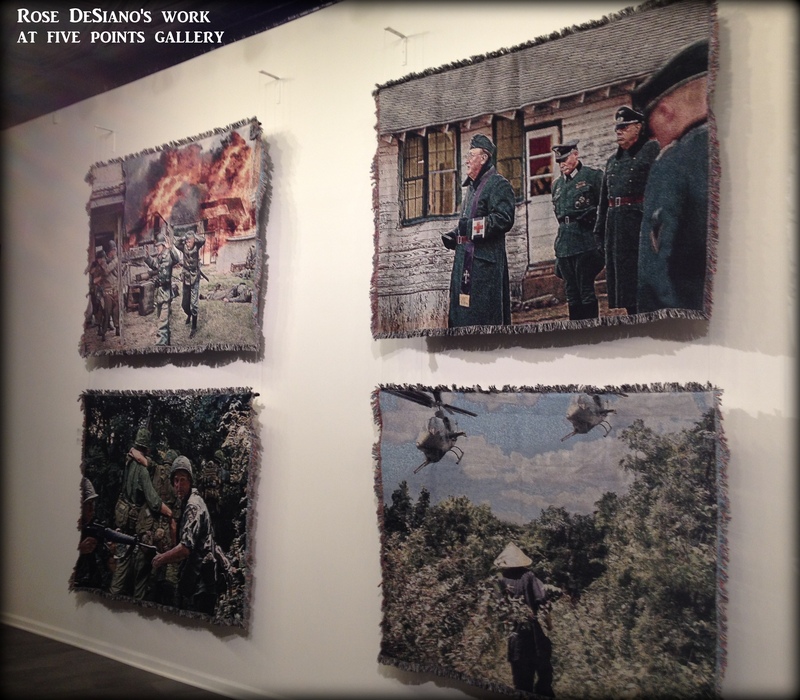 The result is an exquisite and thought provoking examination of historical moments that shape a cultural landscape. Members of the artistic community came out to the gallery to enjoy the work and the artist talk and among them was musician Robert C Fullerton (pictured above) who enjoyed a discussion with the DeSiano.